Today was a lot of driving. About eight hours worth, maybe more. 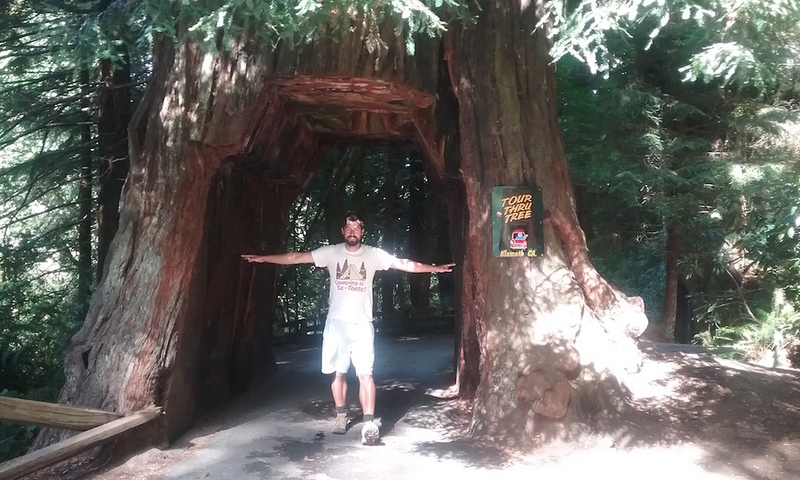 We even drove up to Redding from San Francisco last night so that we wouldn’t have as long of a drive to do today in order to get to the Redwoods, but it was still quite the drive there and back. In Redding, we camped out in a Camping World RV Sales parking lot and, frankly, that’s one awesome business. Not only do they gladly let you park in their parking lot overnight, but they had two electrical hookups on the side of the building that were completely FREE to use. Electricity can be expensive, especially to power an entire RV for a night, and I’m amazed that Camping World (at least the one in Redding) just gives it away for free to help out travelers. 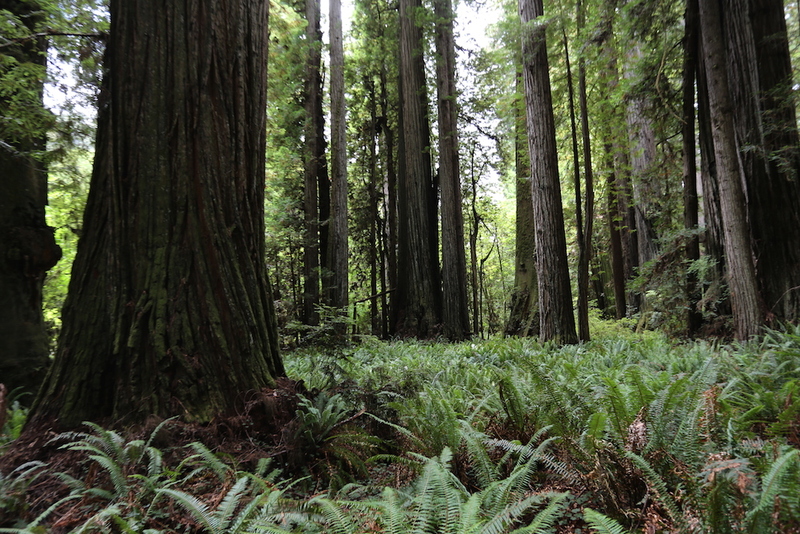 As I was saying, the drive to the Redwoods took awhile and was largely due to Highway 299 that runs between Interstate 5 and Highway 101 in Northern California. The road is about 120 miles long and I swear is 90% made up of sharp turns, causing you to slow down to 20-35 mph in most cases; a few turns you only have to drop to 45 mph. The fun part is not only are there a lot of turns that are sharp, but many of them aren’t marked with a speed limit sign warning you of the recommended maximum speed. It’s kind of a “hope you get it right” situation. Oh, did I mention that if you where to accidentally go off the road because you didn’t slow down enough that you’d probably go careening off a cliff or down a mountain? Because yeah, there’s also no guard rails for most of the road; it’s just road and the long drop to where there is no road. Highway 299 easily makes it onto my list of the craziest roads I’ve ever driven, but the drive itself is quite beautiful… when you have the time to look up from focusing on all the turns. 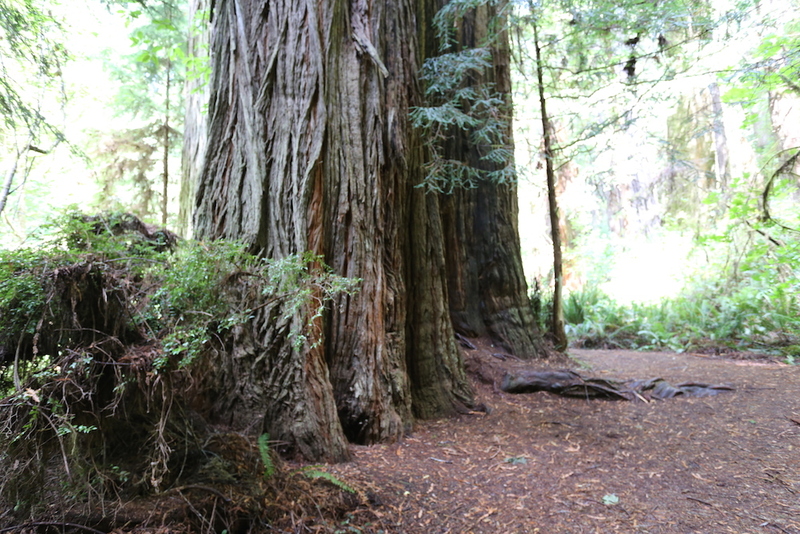 Eventually we made it over to Highway 101 and up into the Redwoods area. It was honestly a pain to find a park visitor center to get a map, as the location and indicators for the visitor center we eventually found defy all means of logic (we pretty much had no cellphone reception, so looking things up wasn’t easy). For anyone wondering, the good visitor center is actually back on the coast of Highway 101, when the road starts to turn to the right and lead you away from the coast. 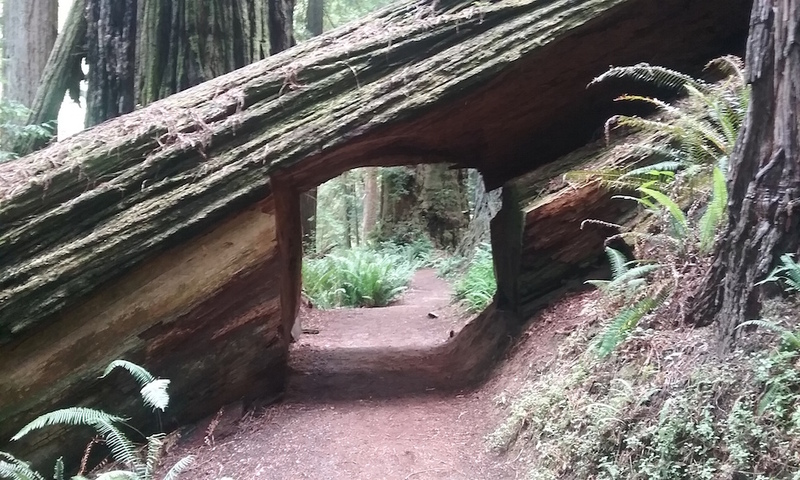 Right there, where the road begins to turn, there’s a sign that says “Redwood State and National Parks Information”. You can’t see the building from the road and there’s no sign indicating it’s an actual visitor center or even that it’s on NPS land, but it is. All I know is that whoever is the idiot in charge of making the signs for that park needs to be fired. “Information” is not the same thing as “Visitor Center” and throw a damn National Park Service logo on it. There’s other places in the park where the signs don’t make much sense or aren’t that helpful, but the visitor center one really bothered me. 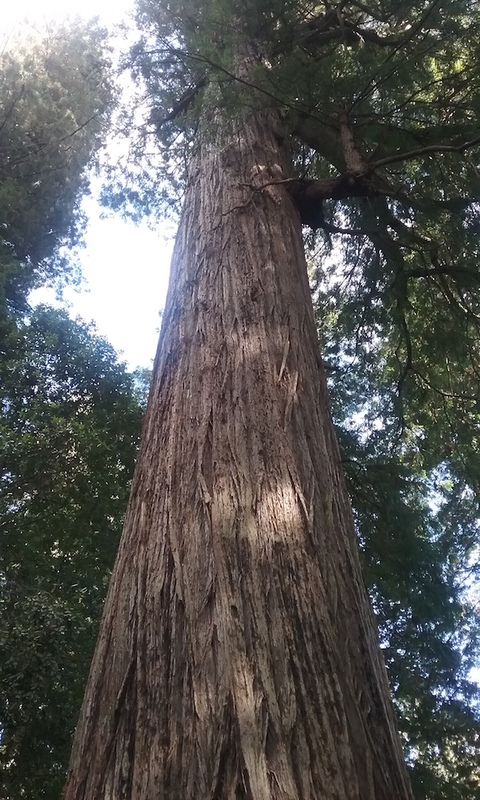 I think most people have seen how massive a Redwood tree is and since I’ve been there before, I didn’t take a lot of pictures. 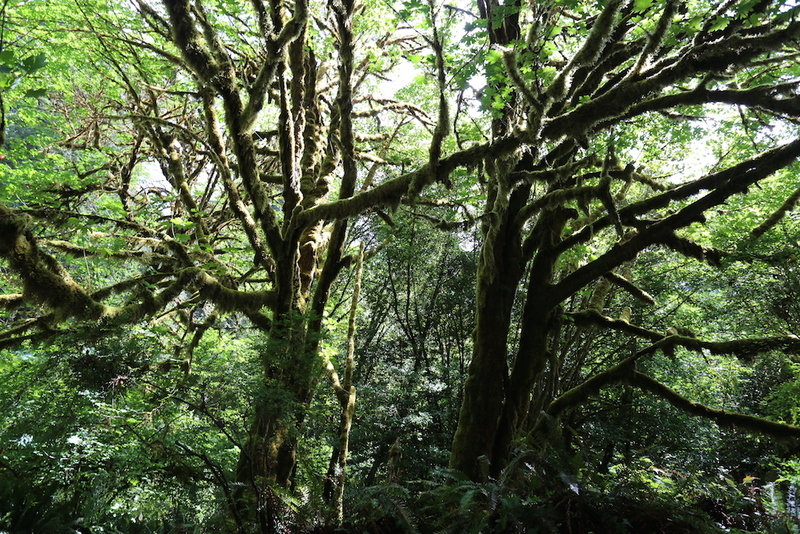 Without anything else in the pictures to give perception to the trees’ enormity, the pictures mostly look like run-of-the-mill trees. 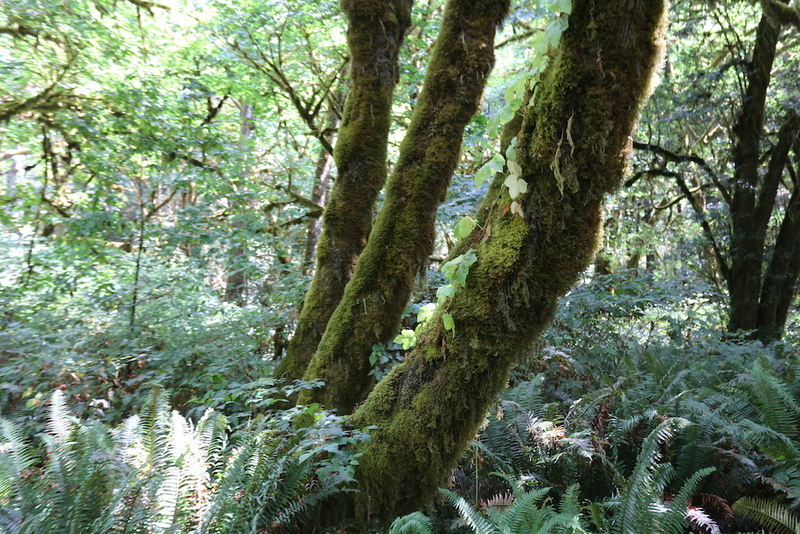 The big trees are about 16 feet wide or more and there’s plenty of “smaller” trees that are around six feet wide. 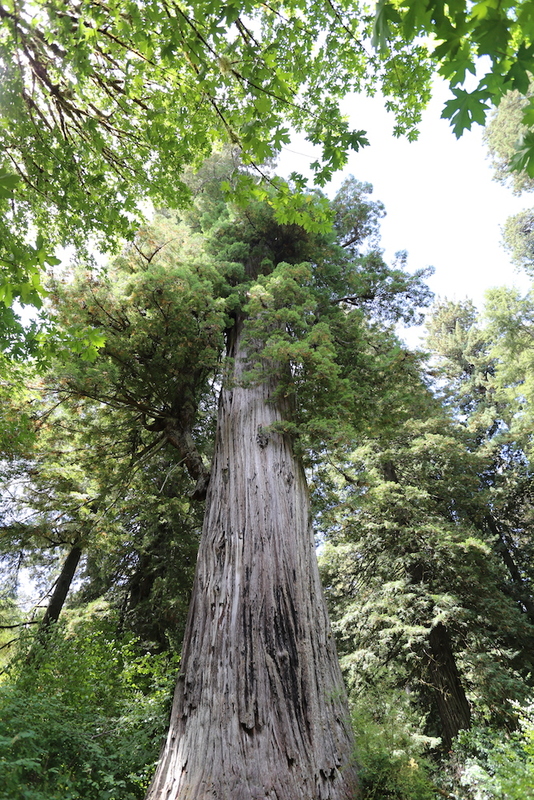 The big trees are so old that they’ve been here since before the days of Columbus sailing the ocean blue. After walking around in the woods for a bit, we headed further North to Route 169 where there’s a tree you can drive your car through. Let me say that again in case it didn’t sink in. You can drive your car through a frickin’ tree! 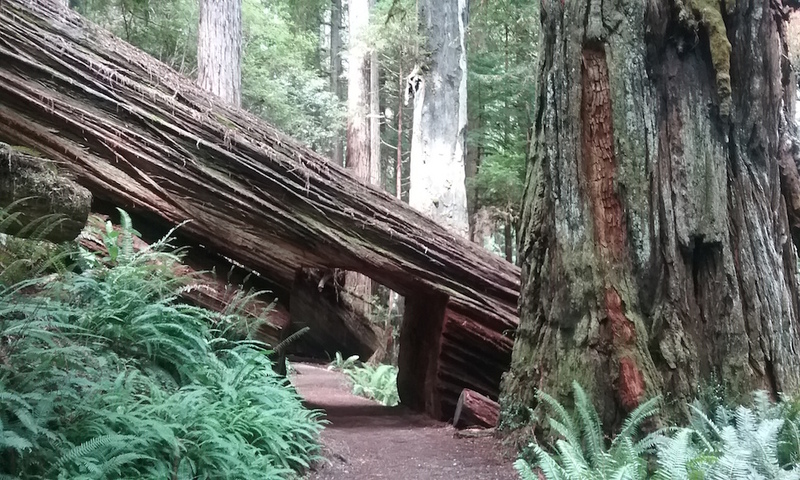 I saw the signs for it when I first went to the Redwoods back in 2009, but somehow we missed it. I wasn’t able to drive the van through it, as ol’ Henrietta just has too big of a caboose to fit. The opening is seven feet wide and over nine feet tall, but it tapers in at the top and the extended roof on the van would have hit the sides. Instead, we just walked through it. Then began the long drive back to Redding so that tomorrow we’ll be close to Lassen Volcanic National Park. Let me tell you, if you think driving Highway 299 with all the curves would be fun in the daytime, it’s more than double the fun driving it at night in a large van, especially with all the turns that don’t have a speed limit posted. Even before I got on the road I wasn’t looking forward to it; and once on it, I was only looking forward to the end of the 120 miles. The one thing that was pretty nice was the moon. I have never seen a brighter and more full moon than the moon on the drive back. It was humungous (that’s what she said). 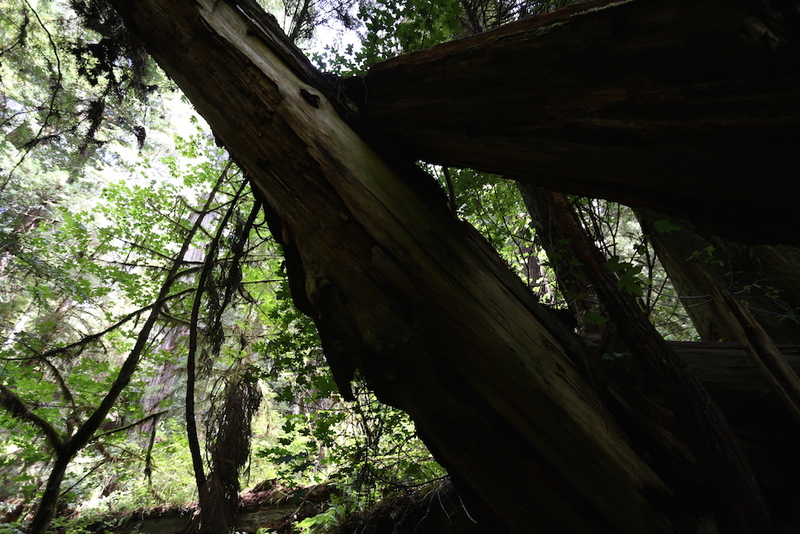 Oh, and Highway 299 drives through the Six Rivers and the Shasta-Trinity National Forests. So other than one more National Park visited, I am also able to cross off two National Forests. Pretty successful day, if you ask me.